PUNCH Metro learnt that the incident happened on Gowon Estate, Lagos State, on Monday. Although the immediate cause of the incident had yet to be ascertained by our correspondent as of the time of filing this report, comments on the Facebookaccount of the deceased suggested that they had a history of violence. 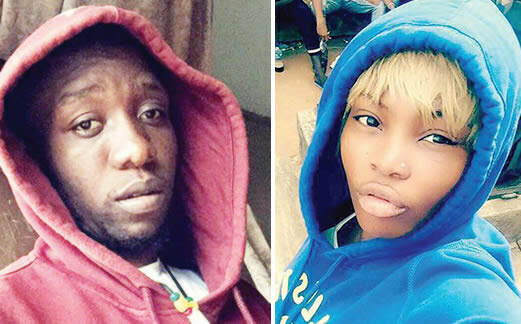 The tragic death came three days after Akintoye posted a status update on hisFacebook page, Lifeoftomson Seun, wishing Osazuwa a happy birthday. A friend of Akintoye, Onyenma Chibundu, stated that he had been warned several times to stay away from Osazuwa to no avail. However, efforts to get further details about what transpired between the lovers from their friends proved abortive as none of them had yet to reply to text messages sent by our correspondent as of press time. “The suspect retaliated and stabbed him with a pair of scissors in the chest. He was rushed to a hospital, but he bled to death,” the source added.